Twitter knows it can sometimes be a bit of a nasty place with threatening behaviour from some users, to public figures in particular, regularly making headlines the world over. 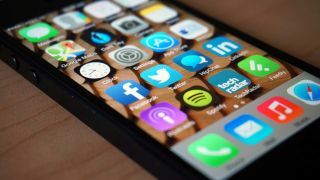 The blue bird has decided to clamp down on abusive behaviour in a new update to the iOS app with a feature called "quality filtering". The description states, "quality filtering aims to remove all Tweets from your notifications timeline that contain threats, offensive or abusive language, duplicate content, or are sent from suspicious accounts." Twitter's new filtering feature is only available on the iOS app for those with verified accounts and will need enabling in the settings menu. This latest move shows Twitter's allegiance to its big users with large followings – it's likely the social network wouldn't be where it is today without some big name users. It also only "aims" to block the content so there's no guarantee it'll keep out all the nasty stuff; people can get real inventive with insults so it may be quite simple to bypass the blocking software. So far there's no sign of Twitter rolling this out for unverified accounts but we've contacted Twitter directly for comment and we'll update when things become a bit clearer. Check out our full review of iOS 8.